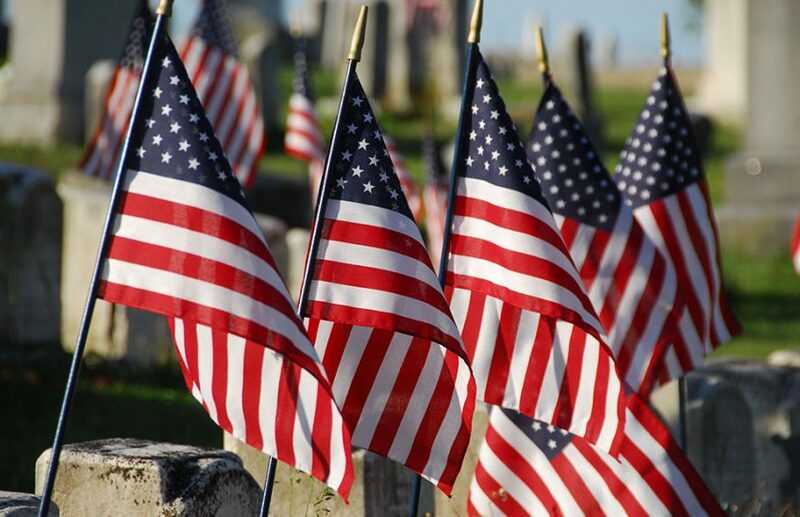 Did you know that a pharmacist healthcare professional started Memorial Day? Pharmacist Henry C. Welles had an idea to place flowers on the graves of those who fought in the Civil War in the summer of 1865, according to Tech Times. General John B. Murray helped the pharmacist organize the memorial, which took place the following year on May 5, 1866. The ceremony eventually became known as Memorial Day. Today, APhA remains committed to honoring our veterans on Memorial Day and throughout the year. Taking a place of pride in front of the APhA headquarters building is the Memorial Flagpole, with four scenes depicting medicines used in times of war. Inside our building is the Federal Pharmacy Conference Room that was dedicated by pharmacists in the service. Every fall, APhA holds a Veterans Day ceremony on the steps in front of our building to recognize America’s veterans and health care providers. APhA is also involved with the Joint Federal Pharmacy Seminar (JFPS), the largest annual event for federal pharmacy. Working with federal pharmacy advisors and healthcare professionals, APhA coordinates the education and meeting activities for this important event, and serves as the Accreditation Council for Pharmacy Education provider. For more information, visit http://jfpsmeeting.pharmacist.com/. APhA has partnered with Paws for Veterans since 2012. The organization provides service dogs to veterans with posttraumatic stress disorder. Paws for Veterans is the official Community Service Project (Friends in Pharmacy) for both the Joint Federal Pharmacy Seminar and the APhA Annual Meeting. We raised nearly $12,000 for Paws for Veterans during APhA2016 in Baltimore. Since our partnership began 6 years ago, we have raised close to $42,000 for the organization. The APhA Flagpole Memorial, located in front of APhA headquarters, honors federal pharmacists who have served during American conflicts. Originally installed in 1948, the granite base depicts six uniformed pharmacists from the Revolutionary War to World War II. In 1992, the memorial was updated with a bronze relief depicting uniformed male and female pharmacists who served in the U.S. Army, Navy, and Air Force during the Korean, Vietnam, and Persian Gulf wars. The memorial is now in need of updating so we can honor those federal pharmacists who served during Operation Enduring Freedom and Operation Iraqi Freedom. We welcome your contributions to help make this update a reality. Contributors have the option of designating the name of a federal pharmacist or simply supporting the project to honor all of the great federal pharmacists who serve our country courageously. The names of all contributors also will be recognized appropriately. For more information or to donate to the project, visit www.aphafoundation.org/flagpole-memorial-update. On behalf of all of us here at APhA, thank you to all of those who have served our country.